Experts in YEti Cycles Since 2006. Yeti Cycles have been creating some of the most prestigious and fastest bikes out of Golden, Colorado, since 1985. Yeti has built a reputation for themselves by building amazing bikes that have taken equal parts fundamental understanding of mountain bikes, rigorous development, and flawless execution. It’s worth mentioning that racing has always been a part of the Yeti identity and has always been instrumental in developing their bikes. Yeti’s bikes are meant to go fast. Don’t be mistaken, they’re still designed to be comfortable and a really good time to ride, but hop on a Yeti and you might find yourself riding faster than you ever have before. Their current line up of bikes are nothing short of perfection and some of the best bikes you could be riding. Today Yeti continues one of the highest regarded names in the mountain bike industry. But it’s not just the bikes that makes Yeti so great, it’s the family they’ve built around the brand, the “Yeti Tribe”. It’s a following and love for the Yeti’s bikes, but it goes deeper than that, it’s a personal connection with the brand that is shared between Yeti fans, its racers, and its ambassadors. There are numerous Tribe gathering throughout the year and all over the world. Get togethers between Yeti owners to just have a good time, ride bikes, and get to know one another. A true testament of the community that comes from a bike brand like Yeti’s. This has always been something we truly appreciated about Yeti and continue to celebrate with them. “TURQ Series bikes are made with the highest quality carbon fiber available and offer the perfect balance of stiffness and compliance.” Their other version of their carbon lay up called C/Series has with small changes to the carbon fiber layup, we are able to make a more wallet-friendly priced carbon frame. 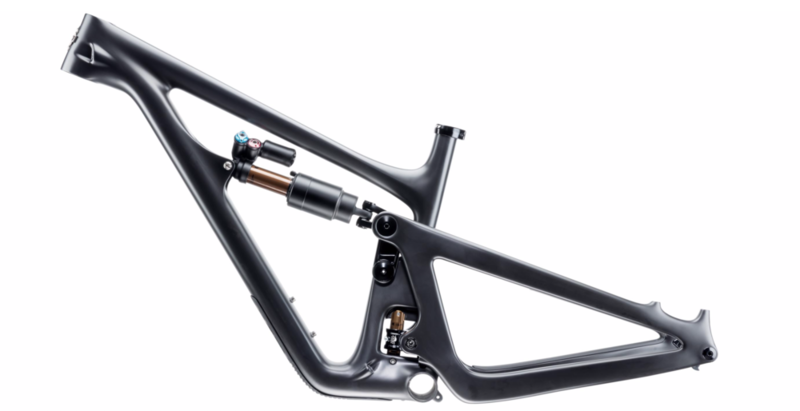 So either way, every Yeti frame is made of high quality carbon that has been highly optimized for the bike’s intension. Why Do we Carry Yeti Bikes? When we first brought Yeti into the shop, we couldn’t decide who was more stoked, our customers or us. To finally have a brand as rad as Yeti in the shop and to be able to offer Yeti bikes to our customers in the area was huge for us. We have always been advocates for the brilliant bikes that come from the brand as well as the Yeti tribe itself. We look forward to being a part of the tribe for many years to come. Get to know Yeti Cycles a little better with these great videos. Have any questions? Looking to ride a Yeti Bike ASAP? Feel free to contact us and speak to a Yeti cycles expert.